RICS Chief Executive Sean Tompkins. Africa’s big cities will play an increasingly central role in the continent’s growth and development, mainly driver by rapid urbanisation. However, the development of smaller, secondary cities is important and presents future potential opportunities. 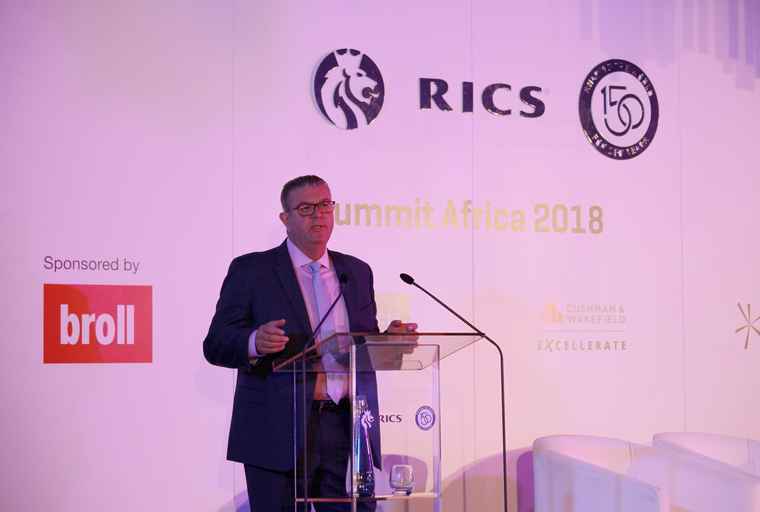 During the Royal Institution of Chartered Surveyors’ Summit Africa 2018, held in Sandton Central last month, RICS Chief Executive Sean Tompkins stressed the importance of cities and the need for metropolises to become more financially empowered in dealing with urbanisation and infrastructure challenges. “Across Africa, families are packing up their lives and trekking to cities … the future of our cities is in flux. More than ever, city leaders need to be proactive rather than reactive, becoming one with their urban citizens“. “From Accra to Nairobi, African cities are booming, but local financing of infrastructure is not keeping pace with population growth. Cities need to become more independent from national budgets. Kampala, for instance, has turned to property taxes as a new source of revenue … but, to keep pace with urbanisation, cities can’t rely solely on user or property charges to retrofit and expand themselves,” said Tompkins. 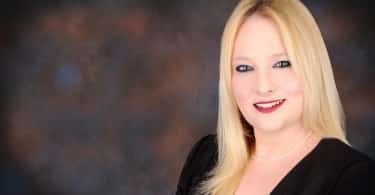 He further commented that poor access to finance is a key stumbling block when trying to develop a city’s transport, housing stock and utilities. The low tax base in many of Africa’s economies was another challenge Tompkins highlighted, which restricted the ability of growing cities to invest in much needed infrastructure projects. He also cited debt across the continent as a worry. However, he said there were ways of improving access to finance in developing countries, highlighting Public Private Partnerships (PPPs) as a way for paying for major public works. “Financially empowered, cities can adapt to the changing world faster than nations can,” said Tompkins, citing Africa’s most populous city, Lagos in Nigeria, as a “miracle story”. He said Lagos had recently started bringing oil refinement in-house and creating a new industry for the city, and a new local supply of petrol and kerosene for Nigeria. “In a move to cut the cord from Nigeria’s unreliable power supply, the city is also starting to generate and distribute its own electricity. 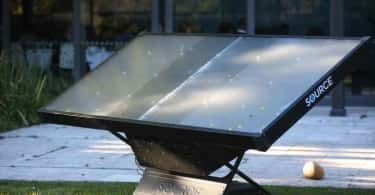 City managers now believe Lagos will have 24/7 energy within the next five years … these two developments tell a positive story of the city becoming more economically independent from the nation, where shocks from the wider world are less devastating to its people and businesses,” added Tompkins. Addressing the gala dinner of RICS Summit Africa, Xoliswa Daku, of CEO of Daku Group, said while mass urbanisation in Africa was seeing much of the focus being place on major cities, smaller or mid-sized cities were the ones to look at too in terms of investment and infrastructure roll-out. “I believe there is value to be had for businesses and developers to invest in small cities. It is also a way of dealing with urbanisation more sustainably, where people don’t only descend on the big cities for opportunities,” she said. RICS President, John Hughes (FRICS), said Africa was a continent of huge opportunities, boosted by its young population and immense natural resources. However, he said rapid urbanisation to Africa’s cities and climate change presented major challenges. Hughes is the founding partner of Canadian-based Hemson Consulting, an advisory firm focused on urban and regional growth management. Hughes added that rural areas should not be ignored, but stressed greater focus still needs to be placed on cities. He agreed with Daku that attention also needed to be paid to smaller, secondary cities, saying more should be done to develop smaller urban centres. “Most economic growth is generated in cities. Crucially, economic growth is dependent upon a good physical environment to operate in. We can’t have cities where you sit for hours in traffic trying to get to the airport… In Africa and much of the developing world, the pace that urbanisation is taking, is outpacing physical infrastructure development,” he said. Hughes added that as a global organisation with 150 years of experience, RICS could contribute to addressing some of these challenges. He said collaboration was key for RICS, as it partnered with organisations in Africa to contribute to the development of sustainable and more resilient cities, and the broader built environment sector on the continent. London-based RICS is an international professional organisation that marks its milestone 150th Anniversary this year. RICS promotes and enforces the highest qualifications and standards in the areas of land, real estate, construction and infrastructure. As a public benefit organisation, RICS operates in all the world’s major financial hubs in delivering international standards and policy influence.